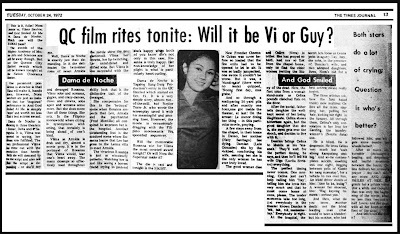 Video 48: "AND GOD SMILED AT ME" VS. "DAMA DE NOCHE"
Ngayon ko lang nabasa ang mga articles na ito. 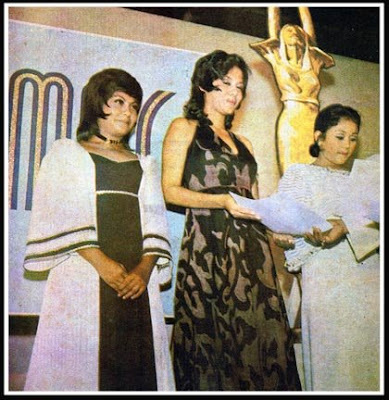 Kakaiba talaga ang Nora-Vilma rivalry noon. Nagbigay ng kakaibang kulay at saya sa mundo ng showbiz. Walang katulad! 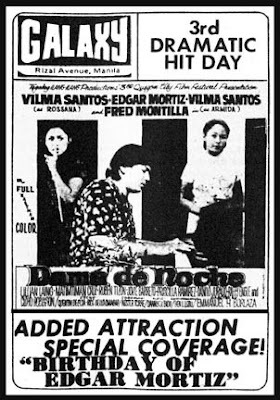 It should be noted na sa Famas it wasn't "And God Smiled at Me" vs "Dama de Noche" but "Gift of Love" vs "Dama de Noche"
Naging iba kaya ang resulta if the same set of films competed for Famas? I guess, we will never know for sure. Thanks Ken for this bit of info. 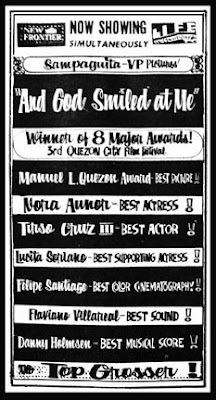 Maganda sana kung sa movie na "And God Smiled at Me" nominated si Nora sa Famas. It could be a fight to the finish--- baka triple tie pa! I was still young then to read, let alone find these articles. Thank you Mr. Simon for unearthing them for us. I am a Nora fan. I hope you find more Nora memoirs to share. Btw, you probably won't remember me but I once visited your shop during my stay in Manila last month. We had a brief chat and even then I was amazed by the passion at what you do and sharing them too. 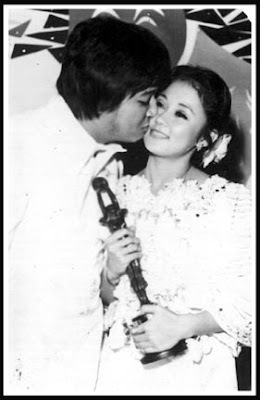 I was ecstatic when you said that you have a copy of Silveria, a Dolphy movie which I have a fond childhood memory of. I have also watched the 3 Kurosawa movies. Thank you and for the special price too. My name is Ellen from Sydney. Your site is a gem. Keep it up! 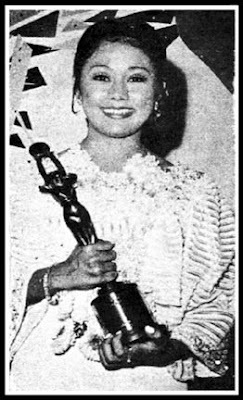 Ginapang ang award ni vilma sa famas nung taon na to. itanong pa ninyo kay alfie lorenzo. u believed naman to that KSP... sabagay, obvious naman na Noranian ka kaya inggit to the max kayo. ay nagpatotoo si ernie pecho dahil isa pala siya sa juror. binili raw ni william leary ang award ni ate vi? trulili? I don't think so. I firmly believe that the same will be the result. 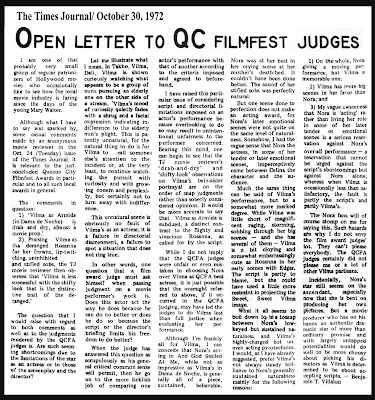 The open letter perhaps opened up the judges eyes, and choosing the other Aunor's film is a decision which shows that she , Nora acted on that film better and had more chances to be of rival with the other two winning actress. Though at the end still failed in comparison, at the very least in that year alone. 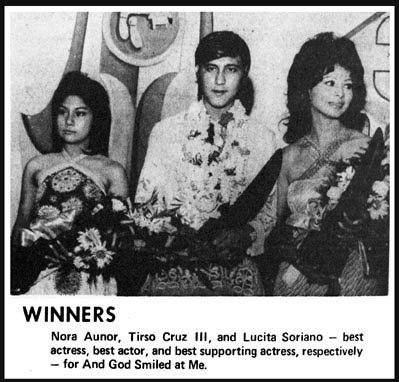 Henceforth, up to this day, let alone that FAMAS results has attested to the two actresses' acting prowess and let alone the present movie loving public judge who's better, the kind of roles demanded from each of them, the one who outshines the greater challenge out of a better role given to them. Clearly, I say, Vilma deserves the win.